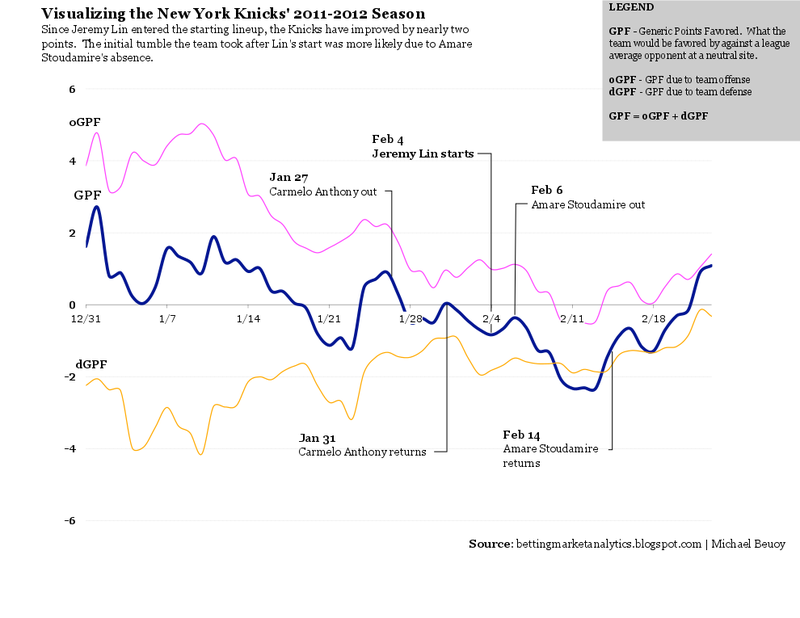 The Knicks have had their ups and downs this season, with Carmelo Anthony's various injury problems, Amare Stoudamire missing several games due to the death of his brother, and now the emergence of Jeremy Lin. I thought it would be interesting to view those ups and downs through the Generic Points Favored (GPF) metric that I use for generating the weekly team rankings. I'm also a big fan of Nathan Yau's work at Flowing Data (and his book), and this gave me a good opportunity to take a first stab at applying his principles to visualizing the metrics I provide on this site. Click on the image below for a full screen version. 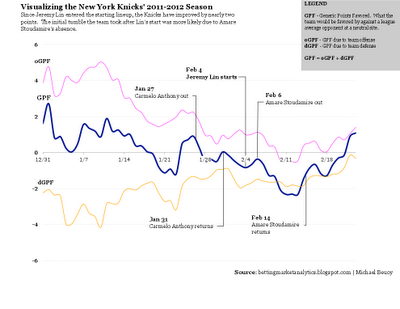 As you can see, the Knicks began the season with fairly high expectations from the betting market. They hit their low point at around February 12, but have been on a steady climb since then.